From Achieving Your Life Goals? up at night worrying about the small stuff? While other people treat those big life changes – like getting married, having a baby, finding a new job – as an exciting adventure, in your mind you’re in the foetal position wanting it all just to go away. But nothing you’ve tried has really helped. Maybe you’ve tried relaxation techniques like meditation and yoga, maybe even tried to change your diet. You may have felt better for a little while, maybe even a few months, but then the old feelings of anxiety and stress come back. That awful feeling in the pit of your stomach is refusing to budge. You may have been prescribed medication for your anxiety, but found that it had nasty side effects and you don’t really want to be taking pills for the rest of your life. We all know that modern life can be stressful. You might think it’s just you, but in fact you’d probably be amazed by the number of people you pass in the street who could be diagnosed as having a chronic anxiety condition. Anxiety and stress, especially over the long term, can lead to serious psychological issues. A study, recently published in the journal Psychological Science, Entitled “The Wear and Tear of Daily Stressors on Mental Health,” revealed that “our responses to seemingly minor daily events have long term implications for mental health.” Traditional psychologists make a lot of money from seeing people who suffer from anxiety every day of the week. There are also numerous studies that show that stress not only impacts mental health but negatively on our physical health, including weight gain, headaches, high blood pressure and heart attacks. and stress-relief ever really work? heal itself. This is where energy psychology comes in. release the tension and anxiety you hold onto. Ask any doctor and they’ll probably tell you that it sounds like mumbo-jumbo (Actually come to think about it some use this method)! But don’t forget, doctors also used to think that smoking was good for your lungs (especially good if you had pneumonia! ), and that yoga was an eastern fad that didn’t work. To be honest, 20 years ago I also would have thought that something like “energy psychology” might have been something for granola-eating hippies. During this time, I found myself being made to visit a counsellor. Now back then I was a typical male. I kept my problems to myself (it’s not very masculine to “share” your feelings with people, right?). Going to a counsellor just wasn’t in my make-up, but there I was. To my amazement, the visits started changing my life. In the course of my counselling and healing studies, I came across the extraordinary work in “energy psychology” of Dr David Lake and Steve Wells, who taught less than traditional techniques for relieving stress and anxiety. These techniques blend ancient eastern practices with western science to form a practical and holistic way to treat anxiety and stress. When the time came for me to decide which educational path to take – should I embark on formal post graduate studies or learn experientially from some of the best therapists and healers in the world – I took the non-traditional route, and have never looked back.For the first time in my life I experienced what it was like to be heard and understood, and to be accepted unconditionally. That started me on my own journey of self-discovery. From my experience with my incredible counsellor Angela, I also decided to pursue counselling as a career. As it happened, my years of acquiring knowledge and experience as a healer paid off in a very personal way. They always say that doctors make the worst patients, and it’s true for counsellors as well. In 2005, after 10 long and challenging years trying for a baby, my wife and I welcomed our daughter into the world. To my horror, what should have been the most amazing time of my life actually became one of the worst times, as I began to suffer debilitating anxiety attacks. When my daughter would cry, I’d start sweating profusely. All first time parents go through levels of anxiety as they’re adjusting, but this was different. I couldn’t control how I felt, and I just couldn’t deal with her crying. I began to worry that my anxiety was affecting the way I was as a parent. It took me a while to come to realize that the patients that I saw every day in the private practice were experiencing similar feelings. I started to use the techniques of “energy psychology” I had been learning about to see if it would have an effect on me. And boy, did it! My anxiety and levels of stress (even when my daughter cried) were suddenly manageable, then non-existent. I was calm, able to cope, and feeling confident again in my parenting skills. These were results I wouldn’t have believed unless I’d tried it for myself. So I began to introduce similar techniques into my counselling practice. Immediately patients reported positive results. They started recovering from lifelong issues around trauma, anxiety and panic attacks. They started feeling grounded in their lives and as a result, work, relationships and their lives improved dramatically. You probably remember (or have read about) the terrifying news stories on the Rwandan genocide in 1994, in which Hutus started systematically and brutally slaughtering Tutsis. Men, women and children were hacked en masse with machetes and other weapons, and often left to die. It was front page news all around the world for many months. 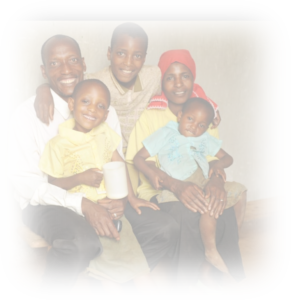 In 2006, a team led by psychologist Caroline Sakai began working with an orphanage in Rwanda full of children who had gone through the terrors of the war. Many had lost their entire families from the bloodshed, and, shockingly, many had watched while their families were massacred. Not surprisingly, these children suffered from a range of post traumatic symptoms such as bed wetting, aggression and depression. To say that these children suffered greatly from stress and anxiety is an understatement. The team used techniques based on energy psychology, including relaxation exercises and acupoint pressure. Remarkably, after just one hour session, these children showed immediate results – their symptoms of post-traumatic stress reduced dramatically. Even more exciting, their recovery from these debilitating problems – remember, after just a brief one hour session – continues up till today! If it can help these children, imagine what effect these easy techniques might have on you or someone you care for! After almost 15 years of teaching these techniques to not only clients in my private practice but also to tens of thousands of students and teachers across Australia, I have created my Online Wellbeing Resource to teach others about these powerful techniques. My Online Wellbeing Resource is a system of teaching modules that are delivered to you online. The toolkit contains 18 video sessions, with bonus MP3 audio tracks and a PDF informative summary sheet for each module – watch the videos or listen to the audio by yourself, with your own children or with a class, then use the summary sheet to reinforce the practical exercises and concepts. Each video is between 10 and 15 minutes long, a perfect length for absorbing knowledge and learning techniques that you can practice straight away. Once you sign up, you get immediate access to the first month’s module, and receive each subsequent module on a monthly basis. In each module, I take you step by step through how you can apply the incredibly powerful techniques of energy psychology in your own life. Do you suffer from anxiety on a daily basis, or are you going through a period of high stress? Does someone you care for – maybe your child, spouse, parents or friends – suffer from anxiety and high stress levels? Are you a teacher who feels that your class would benefit from learning stress relieving techniques? 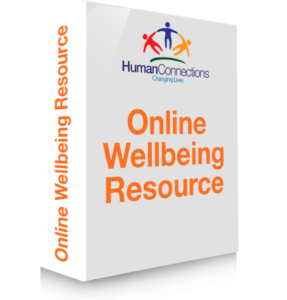 Then my Online Wellbeing Resource Will Help You! These techniques really work! They changed my life, and they will change yours. After a few sessions, you’ll start feeling the way you should always have felt – strong, positive and confident, able to tackle anything that comes your way without stress and worry. I’m going to help you to achieve the success that you’ve been denied up till now because of your anxiety. Hey Rocky, Just wanted to pass on that I taught the tapping method to 120 year 9 students on Wednesday with amazing results! All students were rowdy and restless and were pretty suspicious of the technique when I first started taking them through it, but after two rounds of tapping they were focused, quiet and there were some incredible comments, especially on the calming of nerves and feelings of anxiety. One boy in particular came up the next day and said that on Wednesday night at home when he was trying to practice the ‘last post’ for the Remembrance Day service this Friday he couldn’t hit the high notes on the trumpet and was getting incredibly frustrated. He then tapped for five minutes and said that after that he played it perfectly! Awesome stuff hey! On a personal note, I have had many meetings with students after we got back to school and the way I am now speaking with these students is very different thanks to the strategies that you outlined. It truly has been a Blessing to have someone like Rocky in my life. He shares his knowledge and techniques – He Gets It!, and then YOU get it! If you were to become one of my clients directly, it would cost hundreds, if not thousands of dollars in sessions to get this level of information. However, if you act now, you can gain a continued support and new updates to the Online Wellbeing Resource for as little as $90 for personal use and $360 for schools and organisations. 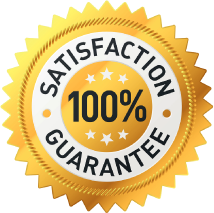 I am so confident that my Online Wellbeing Resource will help you or those you care about overcome anxiety that I’m offering an unconditional money back guarantee for a full 30 days after your purchase. Start being the person you’ve always wanted. While you get ready for your new future, I’ll take all the risk.